The English Club is for anyone who loves to read, write, and learn. Kutztown University students from all majors are welcome to join. The club holds several events throughout the semester and organizes trips that revolve around a love for books. The club invites published writers to speak on campus; book signings, poetry readings, and Q&As with award-winning authors have all been held at KU. 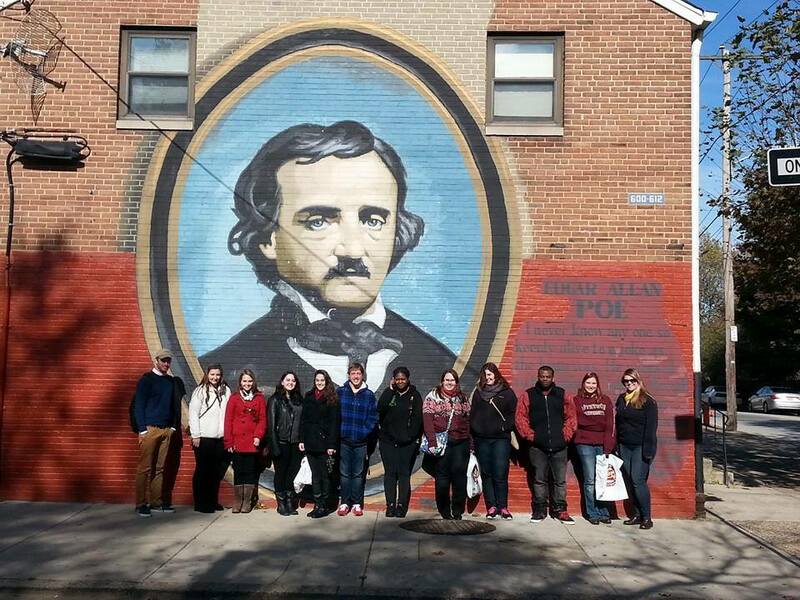 Every year, club members go to the Poe House in Philadelphia, PA as well as New York City with the Art Bus. In 2018, May 19th to the 22nd, the English Club will be traveling to Massachusetts to visit the Emily Dickinson Museum in Amherst, The Witch’s House in Salem, and Louisa Alcott’s Orchard house in Concord. Students from all majors are welcome. More information can be found here. The English Club takes pride in community service and teamed up with Better World Books to help promote literacy around the world. The club also participates in the Merchant Trick-or-Treat event each Halloween. In a collaborative effort, The English Club works with Shoofly Literary Magazine to offer a high school poetry contest. Winners are announced at the Lehigh Valley Vanguard Young Writer’s Festival. Members of the English Club are encouraged to join Sigma Tau Delta, an English Honors Society. Being a member of Sigma Tau Delta opens the door for conferences, internships, scholarships, and publishing opportunities. The English Club meets every Tuesday at 11 a.m. in Lytle 206.